Our name, experience and reputation and the Volvo brand are the reasons we have around 3000 members. Although Volvo cars earned the reputation of longevity, it is possibly the experience, dedication and expert advice from the Club and members that has helped preserve the old models that are still often used daily, and now apply for the more recent and newer models. Times are changing and the technology in cars is very sophisticated. Air conditioning, electronics and turbos are now common in many of the newer models, and their numbers in the Club are growing. The newer and younger members now have these cars that are less than 10 years old and affordable. We even have the more recent models such as the new sporty Volvo S40 and S60, V60 and XC60 range. Members of the Volvo Owners Club have certain pages they alone can access and require a password. This is sent on joining and changed with each publication of the club magazine. We also have a Newsletter by email to keep members up-to-date on all things Volvo of anything important or of special interest between magazine issues. New from 21 September, VOC members can get 10% discount off all products at Halfords. See members page for details. Designer of the P1800 Pelle Petterson pays tribute to Sir Roger Moore who passed away one year ago, 23 May 2017. 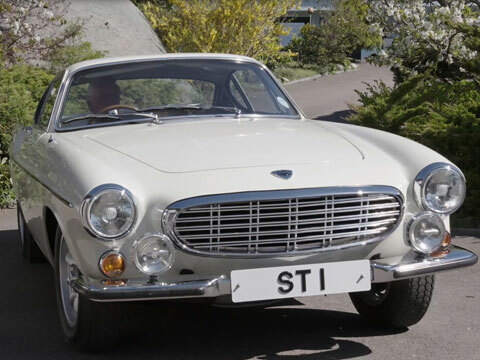 For the first time, he drives the 1967 1800 S that Sir Roger was the registered owner of and was featured in TV series "The Saint". Members of the Volvo Owners’ Club can take advantage of the discounts offered by Volvo Car UK in the New Volvo Car purchase scheme. Full details HERE. The Volvo History section covers all the Volvo cars from 1927 and includes some technical information about them. It includes various reports and documents covering the production of Volvo cars over the years and also includes Volvo Car Production statistics. 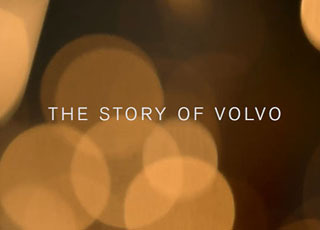 The Volvo Press section is a selection of press releases from Volvo. These will include new model technical and general specifications and photographs. From the year 2001 there are complete details of all new models. Earlier Volvo models are covered by other documentation. We have a very large and busy Volvo Forum (read the Forum Users' Guide) and a Volvo Gallery. Each Volvo model has its own page and those pages have links to relevant pages here on this site and other sites. Cross referencing is done as best as possible. The main index page is Volvo Car Information. There is also a page that covers Parts for new and older Volvo cars. The Volvo Owners Club magazine Volvo Driver and archives are included on this web site. There is a Technical Page that contains links and documents to help repair and maintain Volvo cars. There is also a link to the now discontinued Technical Driver club magazine archive. The Volvo Owners' Club is an authorised club under the DVLA scheme for cars that are incorrectly or not registered for use on the UK roads. For details of this service read this document. By your membership of the Volvo Owners Club, you are helping to ensure that you can continue to use your classic car on the roads of the UK and Europe with as little modification and legal restriction as possible. Volvo Owners Club Insurance with Chris Knott - details here. The Volvo Owners' Club has negotiated with numerous Volvo main dealers for discounts. These apply to parts and/or labour and on some accessories. The dealers and the discounts they give are listed on the back of each issue of the club magazine Volvo Driver. We also have a list of other suppliers and repairers. More details on our parts page. This is an official register run jointly by Volvo Car UK and The Volvo Owners Club. You do not have to be a member of the Volvo Owners Club to get your Volvo car listed. When you register you get a free sticker and the option to purchase a badge for the car. This is a high mileage listing we started here on this web site some years ago as a place for owners of Volvo cars that had completed over 150,000 miles to list their car(s). You do not need to be a member of the Volvo Owners Club to list you car. Recent press releases from the Volvo Car Corporation. Polestar 2 puts focus on China. Huge collection of Volvo cars to gather for world record-breaking parade. New Volvo S60 UK release. Volvo Cars to impose speed limit. New Volvo B5 badged electrified powertrains. Volvo Cars introduces refreshed Volvo XC90 SUV.